CLOSEOUTS. 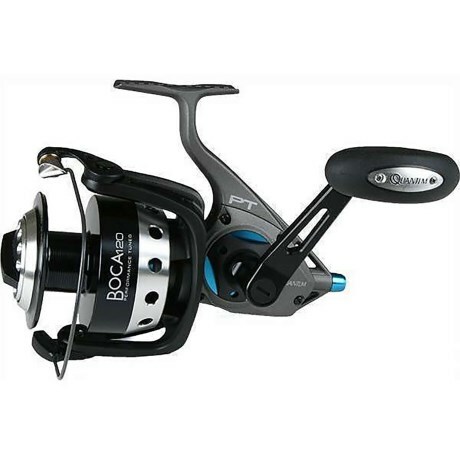 Made with a a sturdy aluminum body, a foolproof titanium/magnetic bail system and SaltGuard corrosion protection, the Quantum Boca BSP 120 PTSE Saltwater Spinning Reel built to withstand the open-water salt assault and retrieves a whopping 42and" of line per crank. Available Colors: SEE PHOTO.